The 2017 Competenz Annual Report highlights the achievements and challenges over the course of last year, with a focus on where the company is moving towards 2020. 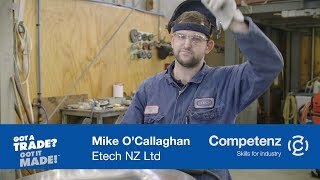 Competenz Chairman Mike Simm says 2017 was a difficult year for the New Zealand industry training sector and Competenz was no exception. “In a booming national economy employers consistently rated the lack of skilled workers as their biggest challenge, often looking to their ITO for guidance on their recruitment issues. Over the past few years Competenz has changed its focus to better align itself with the needs of the 3,500 employers it interacts with, and the changing demands of the 26,000 learners it supports. “Throughout this year of change our staff have responded magnificently,” Simms says. “Well lead by Fiona Kingsford and her team, Competenz is collectively passionate about what we do and how we can help learners of all ages improve their skills and become more productive.